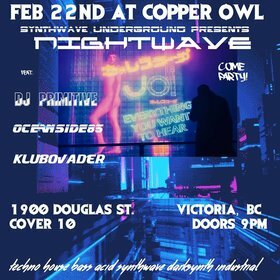 Synthwave Underground presents NIGHTWAVE @ Copper Owl. 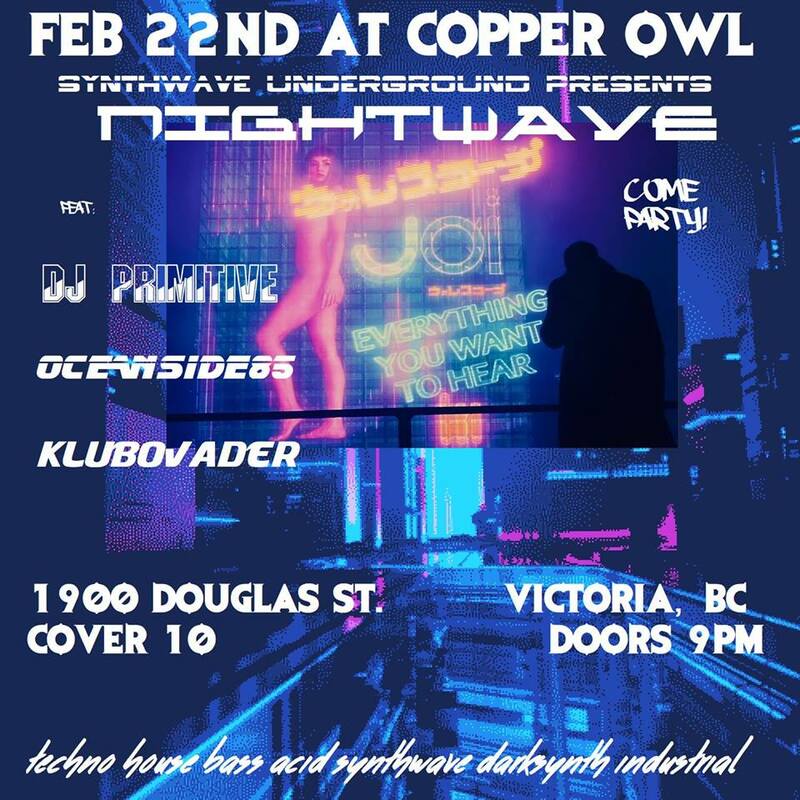 For a night of Funk Soul Disco Synthwave Darksynth Industrial and EBM. Tickets available @ Cavity Curiosity Shop 556 Pandora Ave, Victoria, BC.